Yup, well sort of. 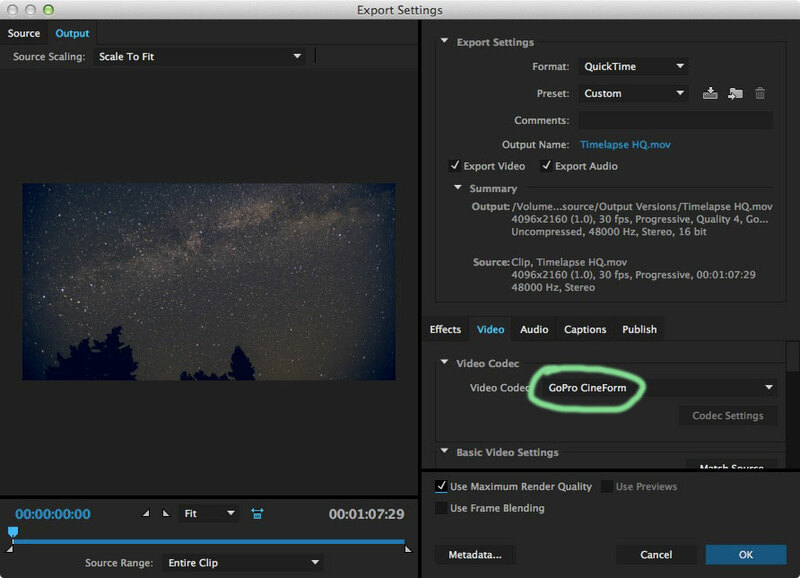 If you’re an Adobe CC user and have 2014 installed, Adobe Media encoder 2014 has the ability to encode to the GoPro-Cineform codec. This is a new great option for 4K video, expecially now that there’s FREE decoders for Mac and PC available at Cineform. 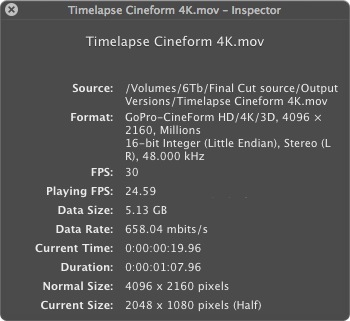 This could be Adobe’s move for widespread adoption of this Codec, but in any case, we can test it out for FREE now and it could become a great interchange/mezzanine codec for 4K. With the FREE decoder, you can add the ability to playback this codec using Quicktime Player or Final Cut Pro X. As you can see below, I’m getting a datarate of 658mbit/sec compared to the 942Mbit/sec I was getting with ProRES HQ. Compared to DNxHD and ProRes, I’m finding similar quality at about 1/2 the datarate. Something to consider for 4K deliverables.